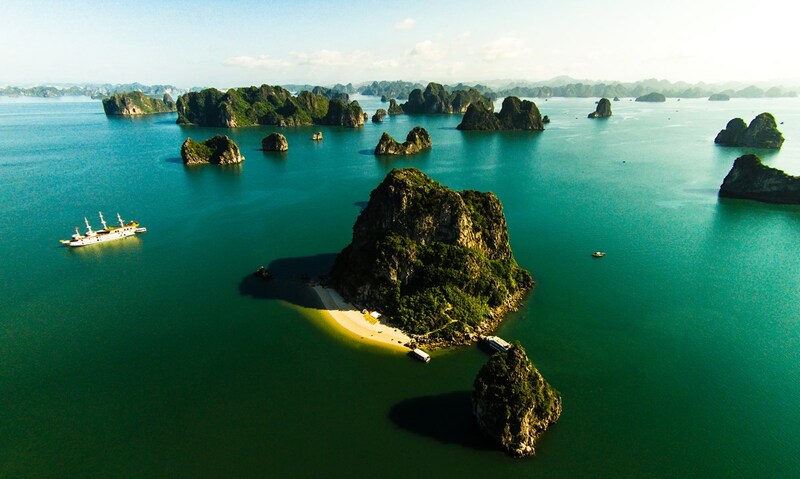 Quang Ninh has many beautiful bays, Halong Bay is like a girl looks gorgeous, and Bai Tu Long Bay is like a pure maiden with the full of mesmerizing. 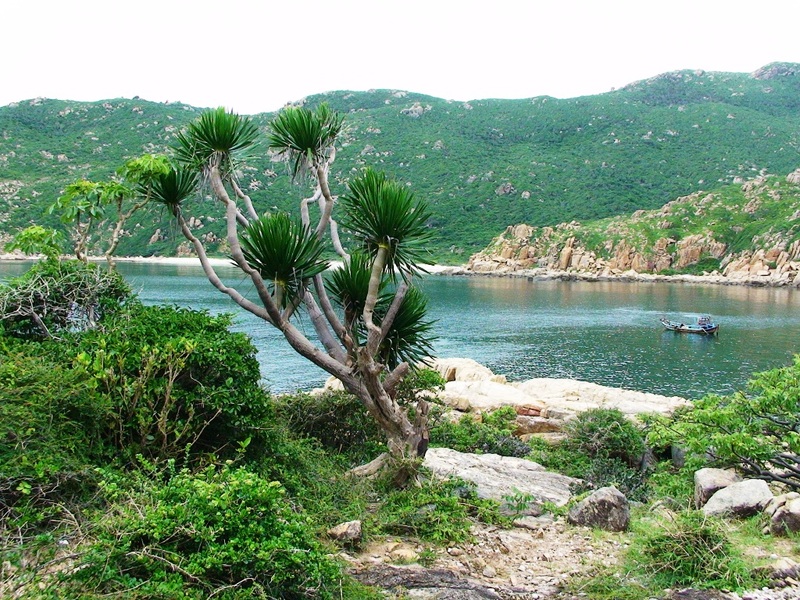 In 2006, Gecko Travel ecotourism company (UK) had voted Bai Tu Long Bay of Vietnam to enter the top five the most wonderful tourist destinations in Southeast Asia. 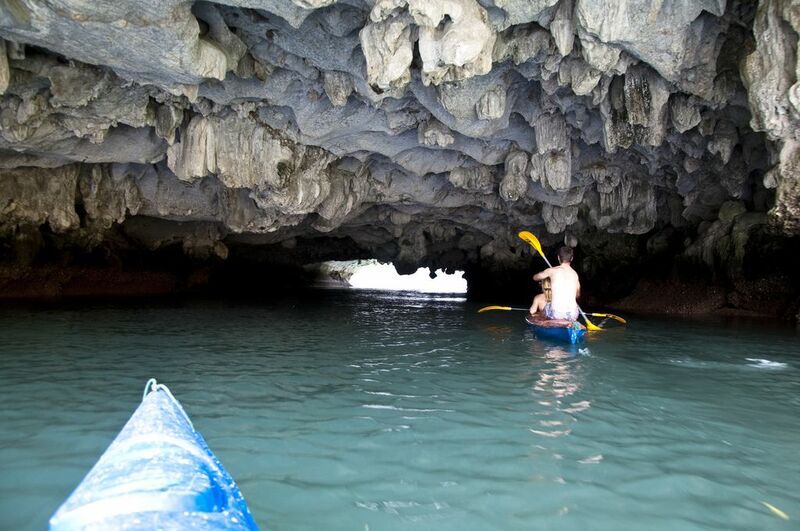 Bai Tu Long Bay is a concave area in the Gulf of Tonkin in northeastern zone of Vietnam. Bai Tu Long Bay covers a sea area of Ha Long City, Cam Pha town and Van Don island district. 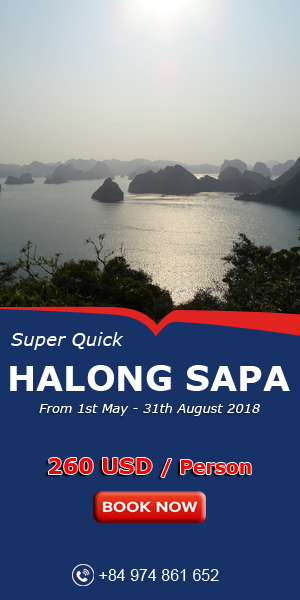 It has the southwest next to Ha Long bay, the east by sea, the west next to mainland and Cam Pha town, the northeast next to the Coto island district. Identically to Ha Long Bay, Bai Tu Long Bay owns the same legend. Once upon a time, in order to protect the ancient Vietnam’s border from invaders, God sent mother dragon and child dragons down to help Vietnamese people fight the enemy. When the enemy’s boats approached the shore, the dragons sprayed countless pearls which then turned into thousands of limestone islands and became a solid wall that blocked invaders’ way. 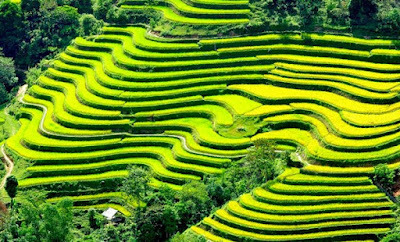 After the victory, since having fallen in love with spectacular landscapes and hospitable Vietnamese people, the dragons decided to stay here. 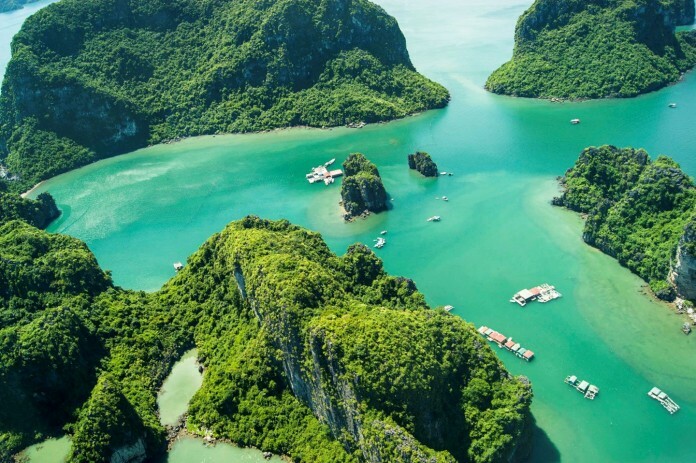 The location where mother dragon landed is Ha Long Bay and where child dragons launched is Bai Tu Long Bay. The dragons’ tails hitting the water to create white foam layers become white sand beaches around Bai Tu Long Bay. 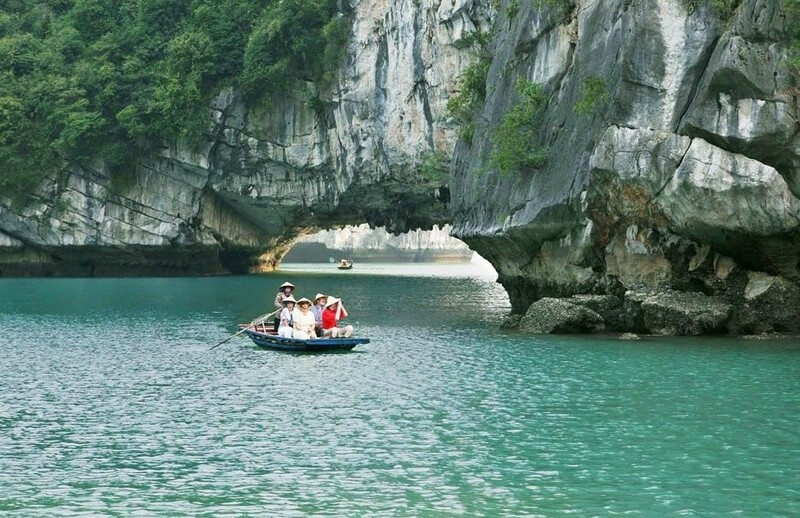 Bai Tu Long Bay consists of hundreds of islands and some large islands have residents living. 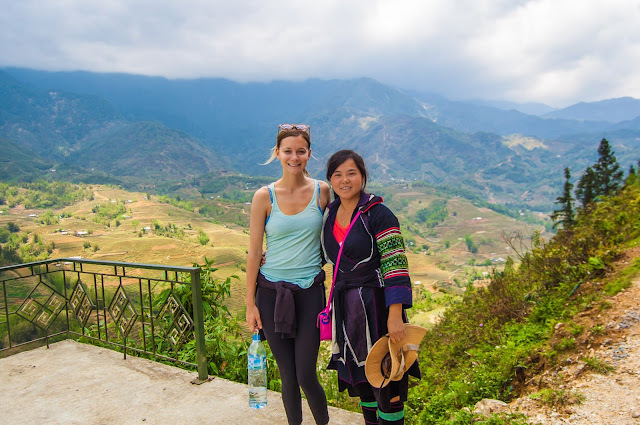 The inhabitants of the gulf live in Van Don island district and Quan Lan Island, Ban Sen, Ngoc Vung and coastal areas of Ben Do, Cua Ong … People here live mainly on fishing, aquaculture. The bay covers a total area of 15,783 hectares, including 6,125 hectares of high islands, which is home to 1,909 species of fauna and flora, forming a priceless treasure of the nation. Bai Tu Long Bay is the island that the climate division two seasons, hot and humid in summer, cold dry winter. The annual average temperature of 15 ° C-25 ° C and rainfall ranges from 2.000mm – 2.500mm / year. Bai Tu Long Bay also has tidal system with tide levels around 3.5 – 4m / day. The islands of the Bay is usually limestone islands and schist islands. The Bay has the topographic tectonic age about 300 million years because the movement raised, lowered several times from the sunken continent into the sea make up sea valley. The process of erosion and weathering created special forms such as a picture wearing. On the rock islands of the Gulf is karst caves, especially it is the Quan cave (other name: Naval cave) where to shelter for ships in the pass in rough seas. The famous island and other islands such as the Cap Ky Nhay, Cap Ky Nha, Gold Card, Hon Chong islands,Van Don islet, ON islet, Ba Sao islet, Chan Nghia mountain … is the attractive tourist destination. According to Associate Professor Dr. Bui Tat Thang from the Strategic Development Institute of the Ministry of Planning and Investment, Bai Tu Long includes all three fundamental ecosystems: forest, wetlands and sea – a diverse area for different species to live and develop. In the Bai Tu Long National Park, there are 102 rare and precious species, including 72 species of fauna and 30 varieties of flora listed in Vietnam’s red book of endangered species. Typical flora species include Chittagong wood, Aglaia, Tembusu and Ardisia sylvestris Pitard. Typical fauna species include Pale-capped Pigeon, Rhesus monkey, Asiatic golden cat, Sambar deer, Otter, Three-striped Box Turtle, Gecko, Water monitor, Burmese python, Cobra and King Cobra. Oceanic species include Chinese white dolphin, False killer whale, Otter shell, Pearl Oyster, Abalone, Olive ridley sea turtle and hawksbill sea turtle. Bai Tu Long National Park has been officially operating since April 2002. Besides the extremely diverse biological environment, the park also has archeological values found in Soi Nhu cave, where there was evidence of ancient Viet people residing here 14,000 years ago. The park has 1,000 hectares of wetlands, including mangrove forest, sandy and rocky tidal banks and sea-grass that provide food, a breeding ground and habitat for animals, including migrating birds and insect varieties. The wetlands ecosystem, with its impressive scenery and biodiversity, has attracted many eco-tourism, environmental education and research activities. Some notable pool areas include Cai Quyt, Lo Ho, Soi Nhu, O Lon, Cai De and Cai Lim. The sea-grass covers 10 hectares of mud and sand floor areas such as Chuong Di, Mang River, Lo Ho pool, Cai De pool and Tra Than pool. Sandy and rocky tidal banks are home to sea creatures like mollusc, making Van Don an attractive destination to taste local specialties. The areas of coral account for only a minor section of the park, mostly found around the fringes of islands, but play an important role to aquatic resources. The areas provide a place for many kinds of sea creatures to lay eggs, shelter and hunt. It has high biological productivity, generating organic substance and an important food source, but is also a gene bank for many types of sea species. 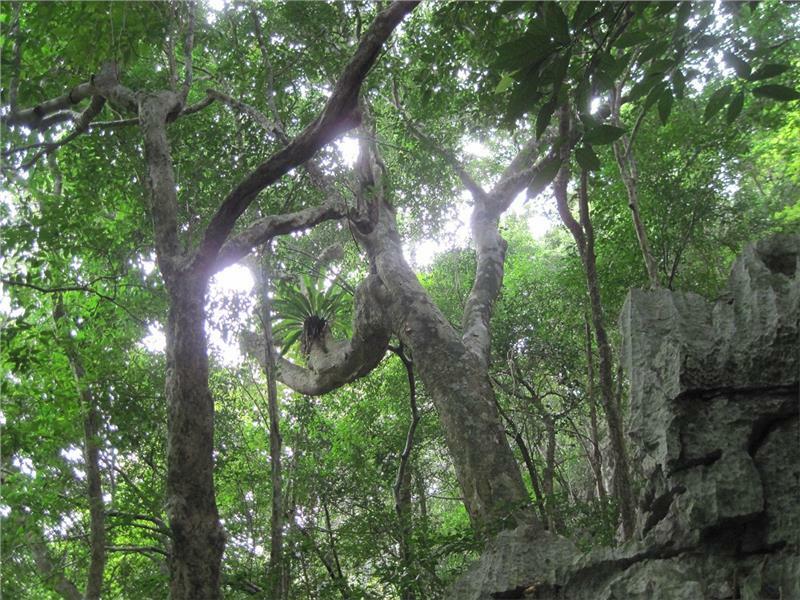 Bai Tu Long National Park needs to have sustainable protection, conservation and development. Bai Tu Long National Park has natural 2km beach considered one of the most beautiful beaches in the Gulf of Tonkin with fine white sand. Above the beach is pristine forests stretching over an area of 14ha is very suitable for eco-tourism development. 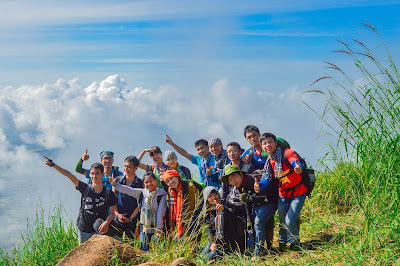 We are full of tour packages and best service guaranteed to cater tourists !